The apartment was perfect, the kitchen complet, with olive oil, honney, fruit, with all you need. The location great, nearby everything. Apartment had everything you could possibly need. Our host went out her way to pick us up at airport. Nothing was too much trouble. We had a very comfortable stay. Panagiota is a terrific host, very helpful and kind. The apartment is very comfortable, peacefuly located, in the neighbourhood of many great taverna's and close to the old town. I'm traveling a lot and that was definitely my best stay ever! Wonderful hosts, who picked me up from the airport,perfect and most comfortable place, close to the sea. I hope to book in the same place next time. Das Appartement war sehr sauber! Wir wurden mit frischen Obst, Wasser, Kaffee und Kuchen empfangen. Die Vermieterin war ausserordentlich freundlich! Sehr zu empfehlen! Прекрасно ВСЕ! Встреча, чистота и порядок, уют, месторасположение, доступность пляжа, магазинов, ресторанов. 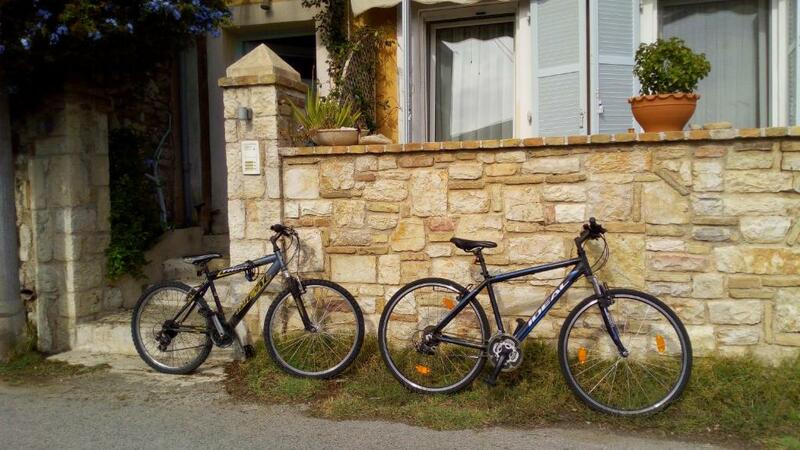 Lock in a great price for Anemomilos Apartment – rated 9.4 by recent guests! 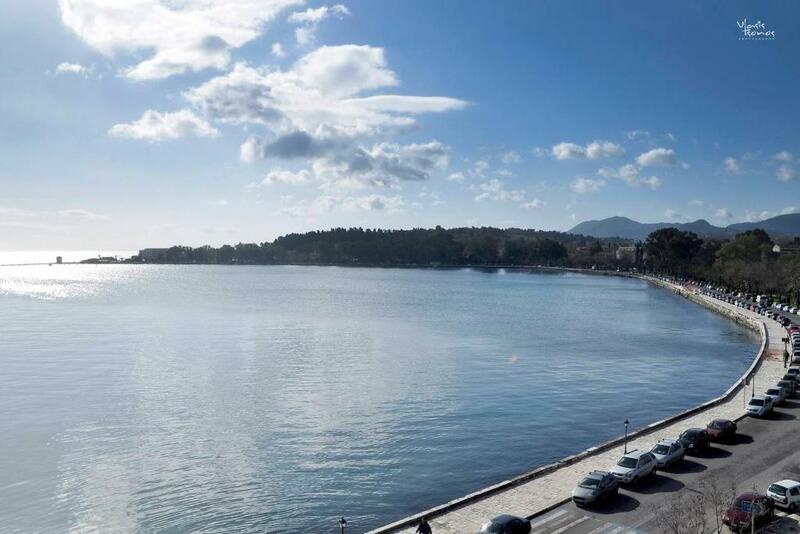 Located in Anemomylos area of Corfu Town, just 500 feet from the beach, this apartment comes with a balcony and free WiFi access. Mon Repos is 1,300 feet away, while restaurants and cafes can be found within a short walk. The kitchenette is fully equipped. Towels and bed linen are available in this apartment. Other facilities at Anemomilos Apartment include a sun terrace. Guests can enjoy two bicycles available for free. Saint Spyridon Church is 0.7 mi from Anemomilos Apartment, while Museum of Ceramic Art is 0.7 mi away. The nearest airport is Corfu International Airport, 0.6 mi from the property. When would you like to stay at Anemomilos Apartment? Opening to a balcony, this apartment has an open-plan kitchenette with living and dining area, a bedroom and a bathroom with shower and hairdryer. Facilities include a kettle, a coffee machine and a toaster. This cute apartment is located in Anemomylos area, the coastal part of Corfu town. 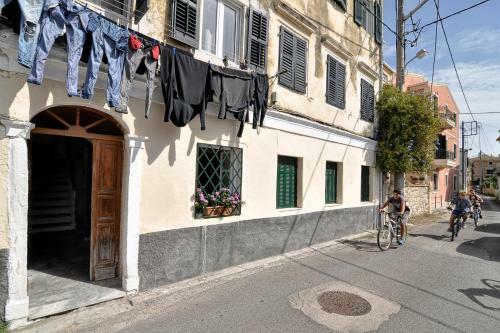 It’s a combination of a house near the sea (150m far away from the beaches Anemomylos and Mon Repos) and the same time very closed to Corfu old town. The house has a living room (with a sofa bed that it can be transformed in two single beds, free Wi-Fi, air-conditioning) in sequence with the kitchen (fully equipped/contains oven, refrigerator, kettle, filter coffee machine, toaster, kitchen paper), a bedroom (sheets, blankets, bath and beach towels ,iron and ironing board) and a bathroom(shampoo, shower gel, toilet paper, hair dryer).From the stone balcony you can enjoy the view of the unique byzantine church of 10th century AD. Very close the house there are the Anemomylos beach, Mon Repos archeological area and Mon Repos organized seaside. 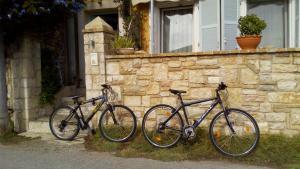 Also there is a big nice park with bicycle or walking paths, several cafes and Greek tavernas. I am a teacher with experience in teaching Greek language and culture to children and adults and I cooperate in a program of greek language cources in Corfu. Anemomylos is a picturesque and calm area of the Corfu town. Very close to the house there are bus station, taxi station, super market, bakery and kiosk. The magnificent view, the walking paths, the parks, the beaches, the taverns, the coffee shops and the perfect position for visiting the whole island make the place ideal for holidays in the city. The access to the city is easy by bus (5’) or walking (15’) on the Garitsa bay, near the sea and admiring the old fortress of Corfu. Also it’s close to the airport (1km) and the port (2km). House Rules Anemomilos Apartment takes special requests – add in the next step! Please inform Anemomilos Apartment of your expected arrival time in advance. You can use the Special Requests box when booking, or contact the property directly using the contact details in your confirmation. It was not really nessecary, but still we were surprises there was no contact with the host during the whole stay. Only when we arrived and tot the key.